March is an action-packed month in New Orleans. Mardi Gras lands on Tuesday, March 5, 2019, and the city is a non-stop party for the celebration. After a week or two of recovery, all but the strictest Lenten fasters are ready to get rocking again. A handful of other holidays also fall throughout March, including St. Patrick’s Day, which finds paraders tossing cabbages and potatoes off floats in the Irish Channel neighborhood, and St. Joseph’s Day, which includes special celebrations for New Orleans’ substantial Sicilian/Italian community. During this busy holiday month, the nice weather starts to make a comeback. The sun comes out, flowers of all kinds bloom, and the front end of the festival season begins to pick up. The middle and end of March also marks a bit of a dip in the tourist season. Mardi Gras tourists are long gone and JazzFest tourists are still a month away, so locals get a chance to boogie down on their own terms at some of the smaller festivals that take place during March. The middling and changeable temperatures of March in New Orleans mean that your best bet is to bring lots of layers: Pack jeans or lightweight longer pants or skirts, short-sleeved shirts, and cardigans or hoodies. As always, good walking shoes are a must. There are parties—and then there is Mardi Gras. The biggest event in New Orleans is an annual celebration that officially lands the day before Ash Wednesday every year. Mardi Gras is a grand blow-out to let off steam before Lent starts, but the revelry begins about two weeks prior to Fat Tuesday with epic parades and city-wide parties each day. The most popular time to go is the weekend prior to Fat Tuesday when the two biggest parades of the season, Bacchus and Endymion, wind through the streets of the city. Grab a mask, beads, and a costume and join the fun. On March 22 and 23, 2019, the Buku Music + Art Project festival takes place at Mardi Gras World, featuring indoor and outdoor stages, art exhibits, local food, plenty of drinks, and thousands of neon-clad young people enjoying the festivities. Although the festival is only a few years old, it has established itself as a major boutique destination festival for fans of electronic dance music, hip-hop, and indie rock. Head to the grounds of the stunning Audubon Zoo on March 9 and 10, to catch some of the most spectacular African-American music in the region. Each year in early March, the Soul Fest at Audubon Zoo brings R&B, jazz, brass bands, and even zydeco artists onto the stages of this event, which is free with zoo admission. Authentic soul food will also be available for purchase on-site during the festival. 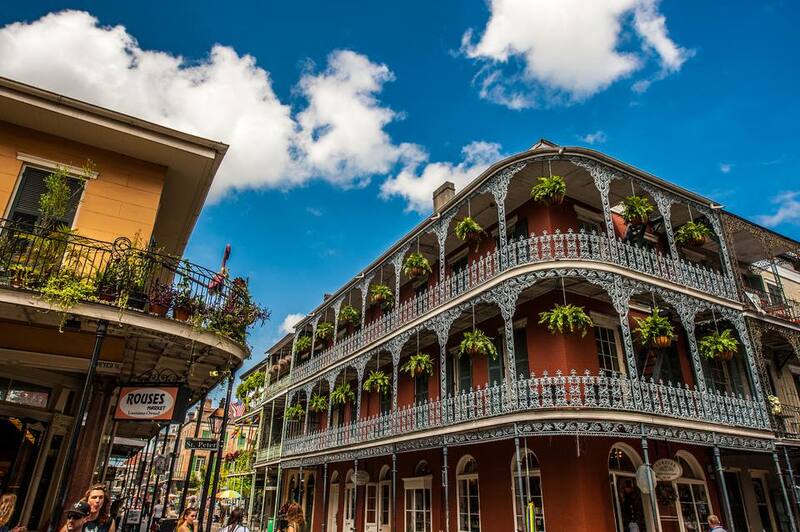 New Orleans hasn’t been well-known as a major fashion capital for well over a hundred years, but things are changing for the better in that regard, and Fashion Week serves to prove it. Runway shows, retail events, and an awards ceremony are all part of this celebration of the burgeoning Gulf Coast style industry. Events take place from March 24 to 30 in 2019, and you need to get tickets in advance to attend most engagements. However, heading out to the bars in New Orlean's fashion district is a great way to mingle with the fashion elite of the city. St. Patrick’s Day takes place on March 17th and brings the Downtown Irish Club’s foot parade through the Bywater and Marigny and into the French Quarter, straight down Bourbon Street. Each year, partiers swarm the city to enjoy this drinking-centric holiday, and since you can drink in the streets, you're likely to see a lot of partying all day long no matter what part of the city you visit. There are lots of St. Patrick’s Day (and St. Patrick’s week) events throughout the city, but the most boisterous is​ the Irish Channel St. Patrick’s Day Parade, which finds green-clad riders on redecorated Mardi Gras floats rolling through NOLA’s historic Irish neighborhood (adjacent to the more famous Garden District). Along with beads, riders throw fixings for boiled dinner from the floats: cabbages, onions, potatoes, and other veggies. The Feast of St. Joseph is celebrated by all Catholics, but in New Orleans, it's a particularly big deal for Italian and Sicilian-Americans, of which New Orleans has an enormous population. Traditionally Italian Catholic parishes all over town set up St. Joseph’s altars: giant display offerings of baked goods, dried beans, and fresh produce, thanking the saint for relieving hunger. Often, a free meal is served to visitors. In the evening, a parade of tuxedoed gentlemen marches through the French Quarter and distributes beads and good-luck fava beans. The altars are later broken up and the food is distributed to the hungry. In 2019, the celebration takes place on Saturday, March 23rd. Put on by the same folks who throw the much-larger New Orleans Jazz and Heritage Festival, the Congo Square Festival is a free event that takes place annually in Armstrong Park, just across the street from the French Quarter. The festival celebrates the traditional cultures that came together to create New Orleans, so expect to hear African music, Caribbean music, Cajun and Zydeco, jazz, and more. It’s an intimate, locally-focused festival, so while there are rarely big-name headliners on the bill, it’s a carefully-curated lineup that guarantees a great time for serious music fans. The New World Rhythms Festival takes place on March 30 and 31, 2019. Super Sunday is the second most important day of the year for the Mardi Gras Indians, New Orleans’ homegrown “tribes” of African-Americans who deck out in intricately reimagined Native American regalia, complete with enormous feathered headdresses and beaded outfits, and sing and dance while marching through the streets in a (mostly) friendly competition to see which Big Chief is the “prettiest.” This peculiar masking tradition has uncertain roots, but it’s been happening for well over a century. Super Sunday finds tribes marching all over the older parts of town, but particularly in the Tremé neighborhood, and events take place on March 17, 2019. In March, the Audubon Zoo invites guests to celebrate the environment at this one-day family-focused event. Non-profit agencies of all sorts are on hand to help visitors learn about various environmental issues and lead kids in crafts and games that help them understand conservation efforts that help some of the animals found in the zoo. Part of the proceeds from the event will also go toward expanding and improving certain habitats at the Audubon Zoo. Check for the exact date of the event for 2019 on the official event website. A celebration of Tennessee Williams and all things literary, the Tennessee Williams will take place on March 27-31, 2019. This festival features, among other things, poetry and play readings, book signings, workshops that cater to both the literati and the public, and the ever-popular Stella-screaming contest, where would-be Stanleys rip their shirts off and wail forlornly for their lost love.